The story begins when young but well-known exorcist Garret Ghostfighter is visited by some strange man who challenges him to go to some place in the middle of nowhere where the locals complain that their dwelling became possession of the spirits. He has to refine the place… And so we start with the story of the search for answers on why the love gone wrong, of chasing and eliminating the evil spirits produced by the fevered mind of Mephisto… Download free full version game today and help Garret confront his tormentor and find Margo. 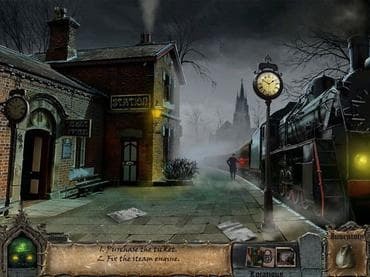 Free Game features: - 42 levels to explore; - An engaging storyline; - A supernatural mystery to unravel. If you have questions about Exorcist game, please contact us using this form.